Here it begins… The reason why every single European tourist goes to Shibuya Crossing is that, well, this place is just “otherworldly” to them: thousands of people waiting patiently for the light to turn green, and suddenly you can’t see the road anymore. And you’d better make sure you know where you’re going because, this crowd stops for no one… But as curious as it may look like, there’s an odd fluidity to all this chaos, and you just reach the other side wondering why you were making such a great deal about this experience! 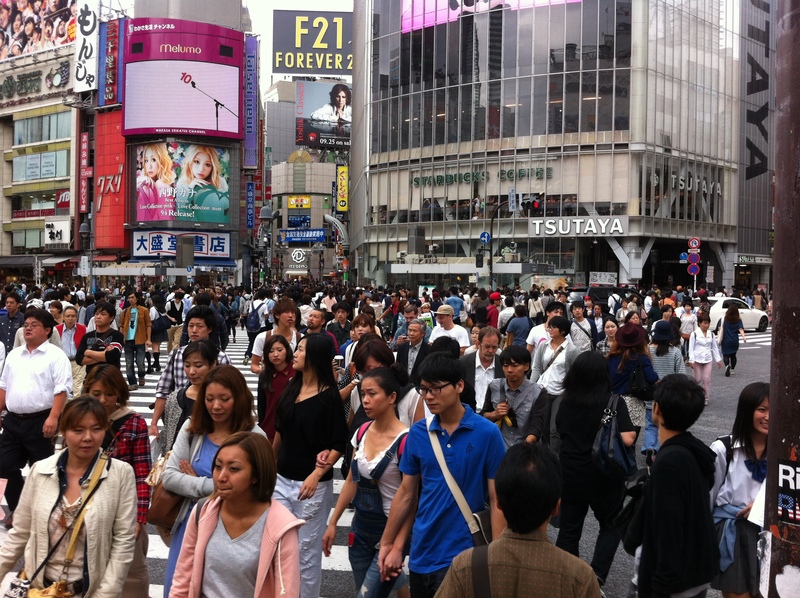 If you look around you, nobody seems to feel the thrill just like you did: Tokyoites seem not to care at all as they keep going on their own business. 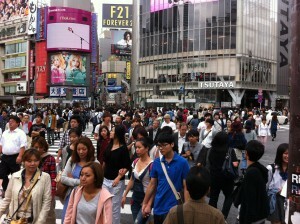 For them, this is just a regular saturday afternoon in Shibuya, nothing special happened this day. And no one stops to take silly pictures that would disturb the ballet, just the stupid tourists like me! Shibuya Crossing illustrates perfectly what I felt like in my first days in Japan: me, taking pictures whenever my European standards were over-powered by Japanese “normality”. Hi, I’m Yannick Littfass! I’m a French exchange student from Arts et Métiers ParisTech engineering school. On my Master’s year I specialized in Vitual Engineering and Innovation in Laval, where I first met prof. Akihiko Shirai. Although I was originally interested in mechanical design and industrialization, I grew ever more fond of innovation and creation: the incredible potential of Virtual Reality and IT motivated me to “switch” for innovative technologies involving both technique and user-centered content creation. I was given the opportunity to work on such projects at Shirai Lab where I want to explore new ways of entertaining, or enabling users new experiences. My current research work is about enabling Unity3D users to create content (videogames, animations) for multiplex imaging technology ScritterH. To further this project, I also got involved in Shirai Lab’s 2x3D technology using the same “Hiding Shader” basis which competes at DCEXPO2013 Innovative Technologies competition: I also expect DCEXPO to allow me to discover new concepts and interact with actors of Virtual Reality in Japan and worldwide so as to widen my own vision of what innovative virtual technologies can bring to people, but also how to make concepts go industrial.